We are thrilled to have designed the flowers for Gabriella and Tyler's stunning Cannon Beach elopement this past Spring. 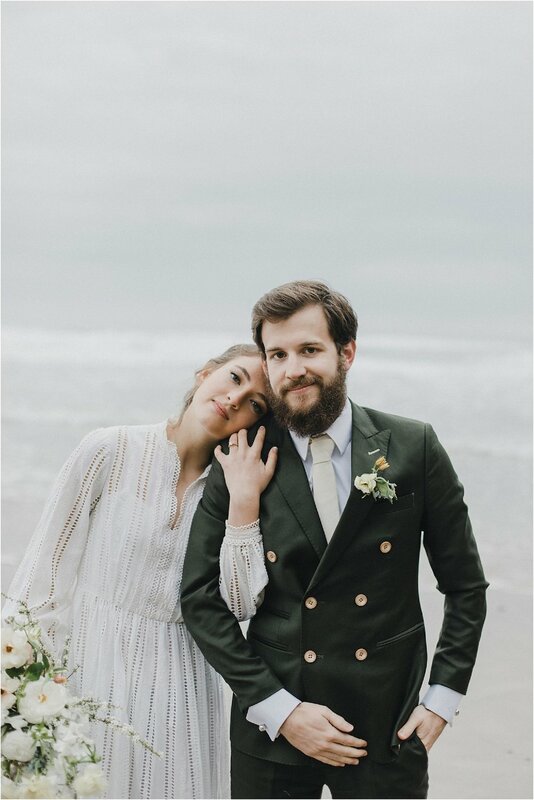 Their intimate ceremony on the Oregon Coast was such a joy to be a part of. 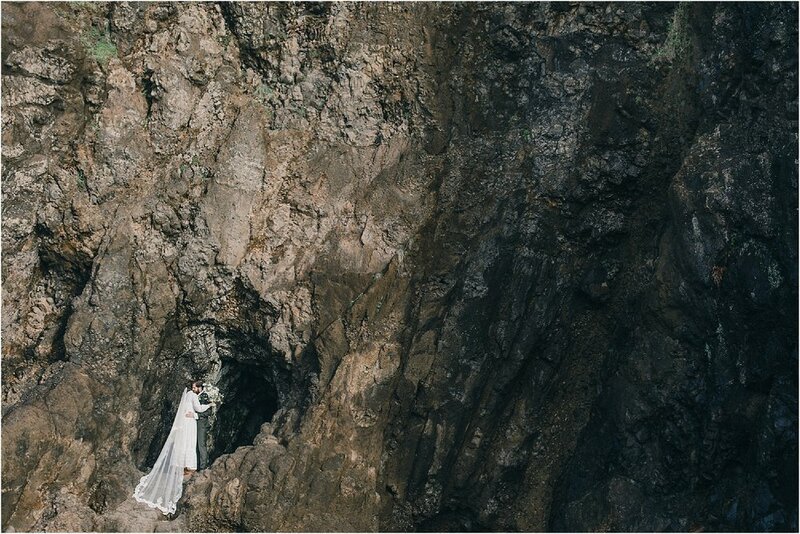 Set against a beautiful backdrop of cliffs and rock formations, this adventurous couple could not have picked a better place to elope in Oregon! 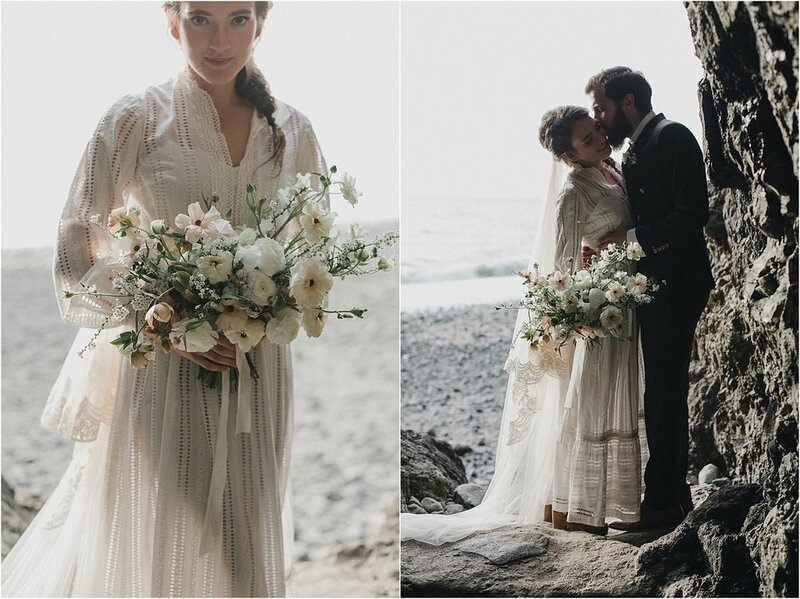 Gabriella's vintage wedding dress paired so perfectly with the soft and delicate, yet textural flowers in her wedding bouquet we created for her and finished with a cream silk ribbon from Silk and Willow. And can we please take a second to talk about this veil?! The movement of Gabriella's veil in the wind created some pretty stunning images. 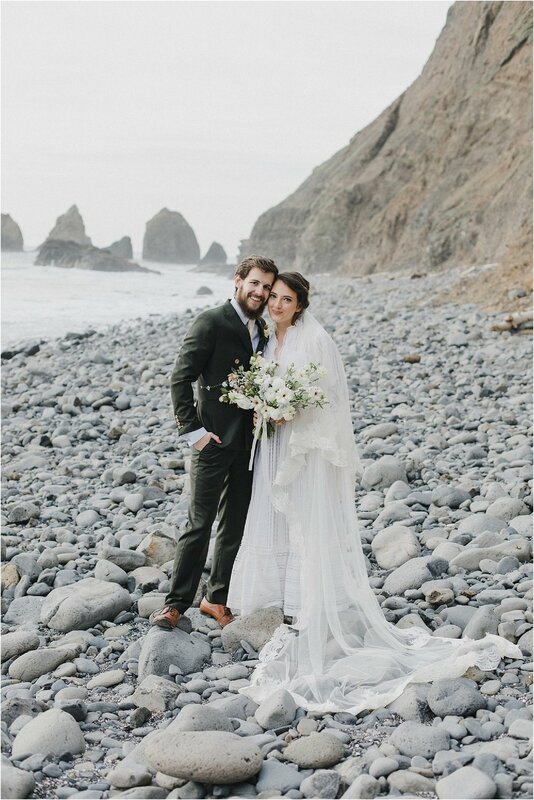 We'd highly recommend a Coastal Oregon elopement for any couple willing to get their feet in the sand and not take themselves too seriously! We don't think there's a more iconic coastal wedding location in Oregon than Cannon Beach, and it's easy to see why. Cannon beach has got it all, from the rock formations and the jagged cliff sides to the rolling waves and winding beach. There you can find secret nooks and open spaces to hold your most intimate elopement or large ceremony. The possibilities are wide open just like the coastal views! Big thanks to the incredibly talented Alixann Loosle for capturing our flowers so beautifully. Leave your comments below and let us know what your favorite elopement spots are on the Oregon coast. We can't wait to hear from you!